Rick Scott, current Governor and candidate for Senator of Florida, has secrets. Lots of them. But I didn’t appreciate how extensive they were until I read this compelling piece by Lucy Morgan. Curious to learn more, I meandered over to his Wikipedia page which records such details as his early career reviving donut shops, the date of his marriage, and the fact that his mother worked at department chain J.C. Penney. Not mentioned? The name he was born with. I’m a relative newcomer to Florida, so this surprised me. He’s been Governor since January 2011. How could he be in the public eye for so long without anyone knowing something as fundamental as his original name? I decided to take a closer look and shed a little light on his family history. Rick Scott began life as Richard Lynn Myers. Seen here (left to right) are his great-grandfather, grandmother, father, and Rick Scott. 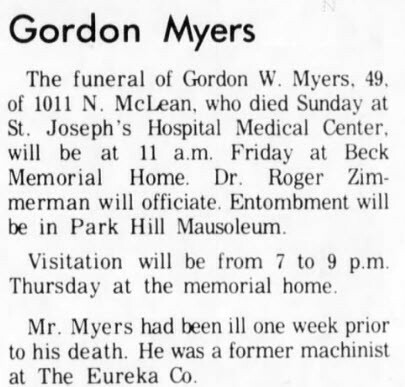 His birth father, Gordon William Myers, was raised by his mother and grandparents as his father left when he was very young. I’ll leave it to readers to decide how much of a resemblance there is to these relatives from the paternal side of Scott’s family tree. His parents had a brief and rocky marriage — well, marriages. 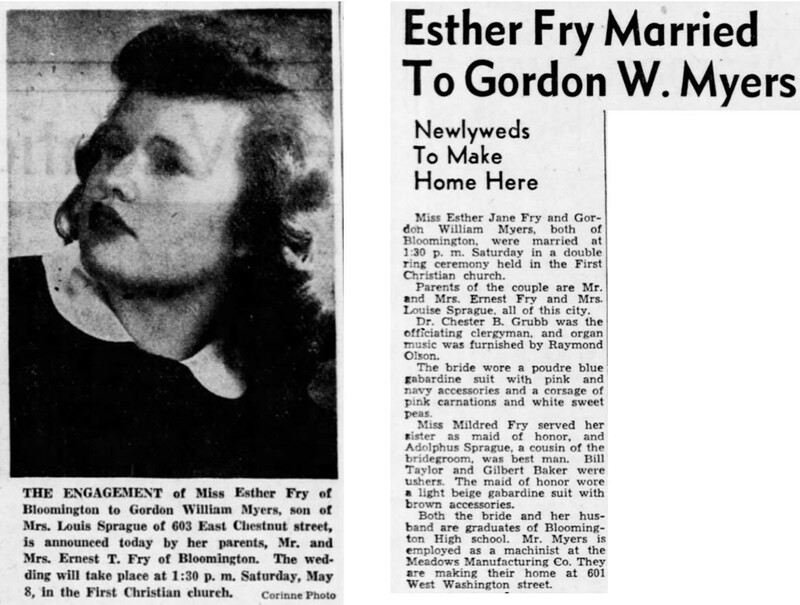 Their engagement was announced on April 25, 1948 and took place on May 8th. By March of the following year, his father was placing classified ads refusing responsibility for any debts “except those contracted for by myself” — usually an indication of a separation or divorce. But they apparently reunited because May of 1952 found his parents applying for a license to remarry. Just two years later in 1954, both parties would marry other people. His mother’s new husband was named Orba Scott, which is how Rick Myers became Rick Scott. His birth father had an attachment to the names William and Richard. 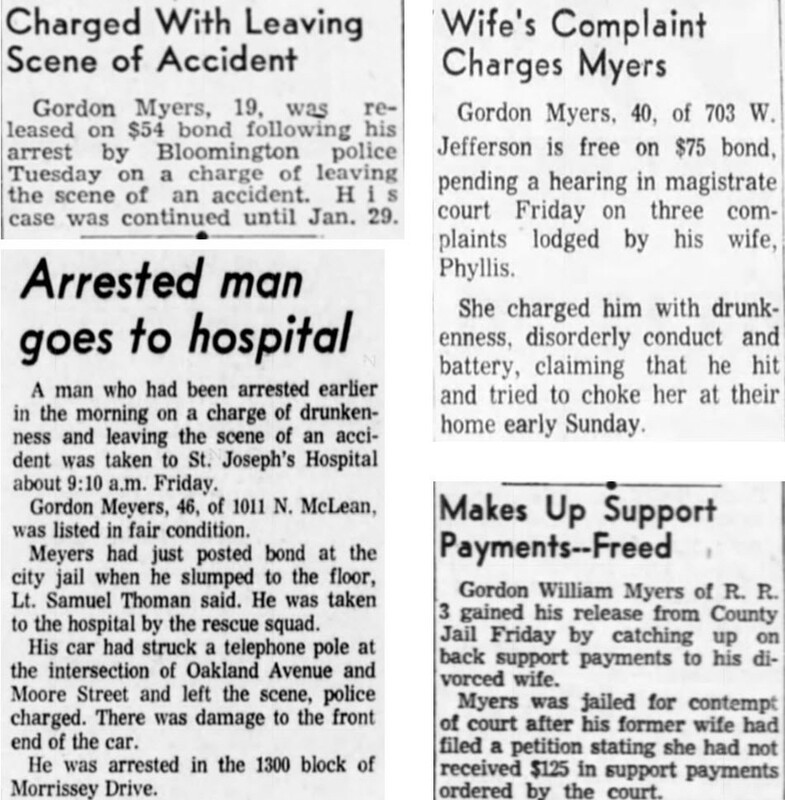 Rick Scott and his brother were originally named William Gordon Myers and Richard Lynn Myers. When their father Gordon remarried, he had more children, including another pair of sons named William and Richard. 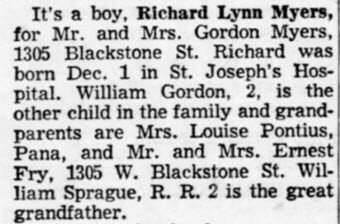 As a longtime genealogist, I can tell you that this name-recycling quirk is more common than one might think, but most men who do this favor their own name, so the usual expectation for this scenario would have been multiple Gordons. But in this instance, Rick Scott wound up with a half-brother also named Rick. His father was a troubled man who could make life difficult for others. The articles seen here range from 1946 to 1972, and reveal that drinking was a frequent factor. 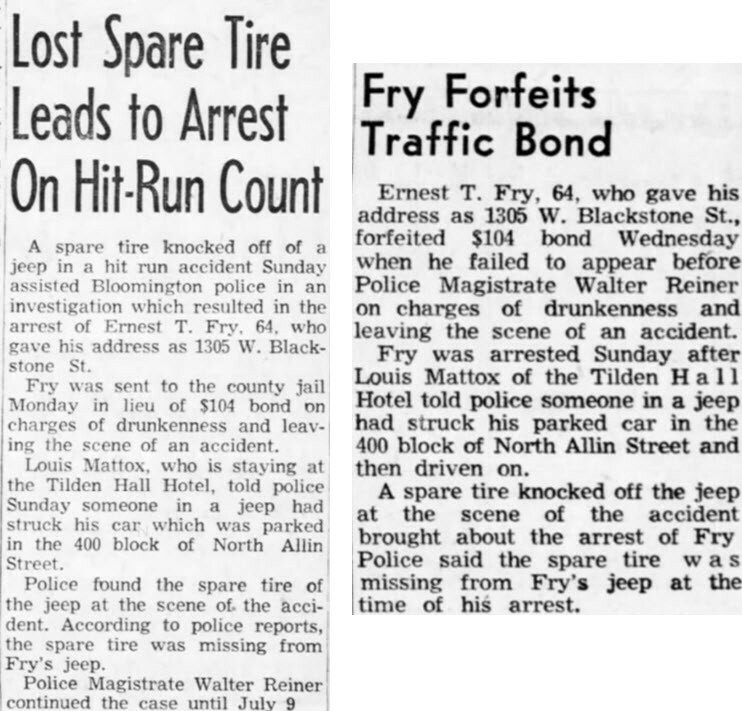 His father was not the only person in the family with drinking and driving issues as seen in these articles about his maternal grandfather regarding an incident that took place the year Scott was born. His father was only 49 years old when he passed away. Rick Scott would have been 23 at the time. Although I didn’t research much more of the family tree, one interesting tale jumped out. A great-grandaunt of Scott’s, Mrs. Dorothy “Dot” Daley, was put on trial for the murder of her husband. She first claimed that he had shot himself, but later admitted involvement, saying it was accidental. A number of family members testified on her behalf and she was eventually acquitted. So Rick Scott started life Scott-free, which somehow seems fitting.